DOTI, April 21: Until a few years ago, the lush green fields and high agricultural output earned Mauwa the recognition of the storehouse of Doti. However, the once fertile fields have turned into barren land and bushy jungles now. Day by day, more cultivable lands have been turning into barren fields and the trend in continuing. 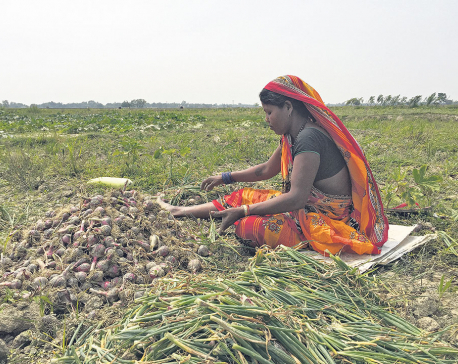 "Our leaders and politicians sell a lot of dreams and promises about prosperity brought by agriculture," said social activist Hemraj Joshi, adding," But reality is the opposite." As per the details of Regional Agriculture Directorate (RAD), Dipayal, more than one thousand hectares of agricultural land have remained barren. According to RAD, crops used to be grown in a total of 329,912 hectares of land in the mid-western region until 2008/2009. But now, only 322,077 hectares of land are used for agriculture. 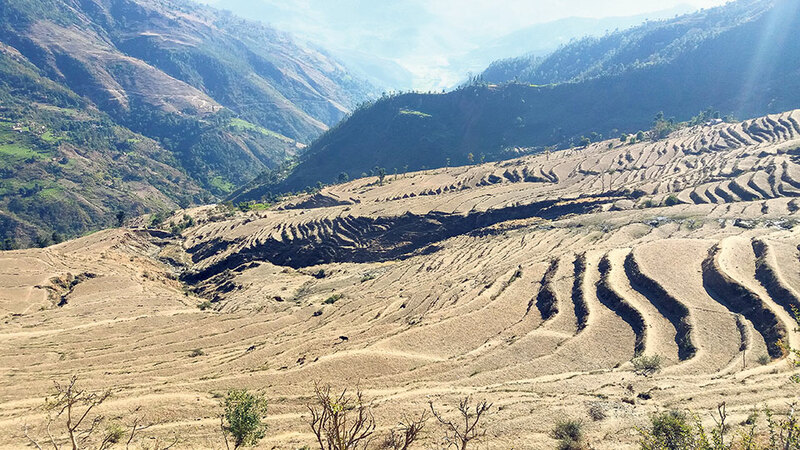 A total of 7,655 hectares of land have been left barren in Dadeldhura alone. Likewise, 3,794 hectares of land are left uncultivated in Darchula, according to RAD. It has been a long time since the irrigation canals of Chinadi and Bunnesain based in Bogtan Rural Municipality-7 were destroyed by a major landslide. As the land caved in at several other places too, those canals could not be repaired again. This turned 100 ropanis of fertile land into barren fields. "We could do nothing other than watch our fields turn into bushes," said Gagan Singh BK, 64, a local farmer. According to BK, many people moved to India in search of employment while some permanently moved to the plains after their land could not be used for agriculture.
" I had to send my sons to India after that," he laments. Karna Bahadur Singh, 72, of Bhumirajmandu made a living through agriculture. But he had no idea that his land would turn into a desert in his twilight days. So, he had to sell his precious land to someone else. The farmers of Sigadhi Municipality-8 have also given up farming after being discouraged by the low production. "There is no proper irrigation facility nor there is timely rainfall," said Hari Singh Kunjeda, a local, adding, "That is why we stopped farming and started sending our children to foreign lands." Lack of irrigation, migration, global warming and no interests of youths has affected agriculture to a great extent.